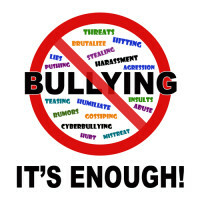 Lawmakers across the country have been attempting for years to stop the growing and pernicious trend of cyberbullying. A local Illinois lawmaker has developed a new approach to this issue after a video surfaced of a Murphysboro boy being beat Murphysboroen while onlookers simply filmed the incident. The video in question was one showing a 12-year-old boy on the ground as another attempted to stomp on him, while a cluster of bystanders circled the pair, recording the altercation on their phones. The fight occurred in an alley outside of a Murphysboro middle school in January of this year, with a video posted on Facebook shortly thereafter. “I wish someone would have stepped in,” said Tiffany Thomas, the mother of the boy seen on the ground in the video. If your child has been injured as a result of cyberbullying in Illinois, contact the experienced and compassionate Chicago-area personal injury attorneys at Johnson, Westra, Broecker, Whittaker & Newitt, P.C. for a consultation on your case, at 630-665-9600.